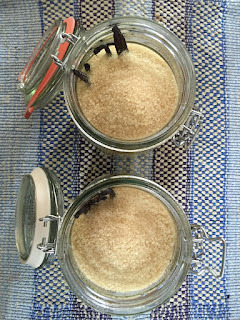 Homemade Vanilla Sugar, it is so easy, you will be kicking yourself for having bought the expensive one all those years! 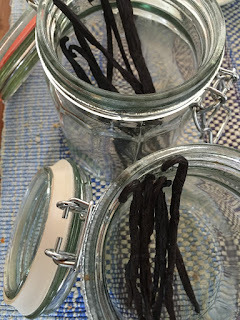 It is as simple as my Vanilla extract I posted years ago. 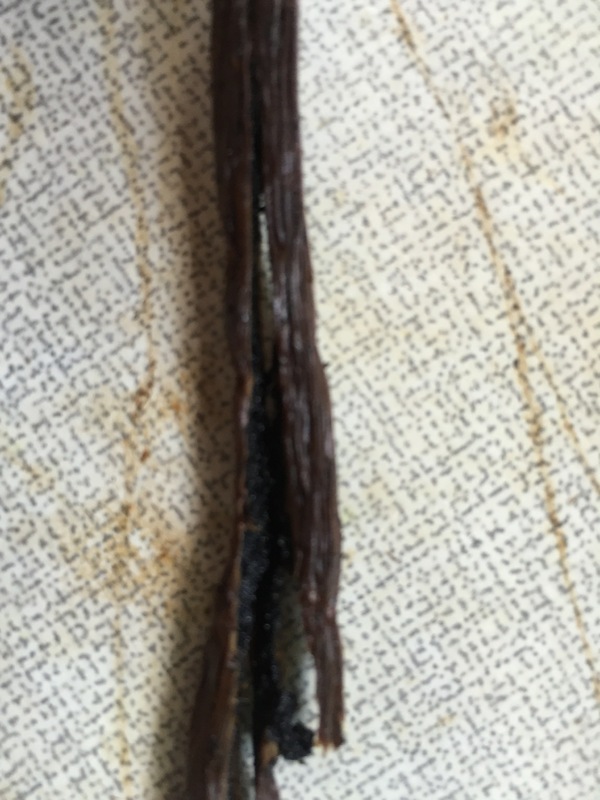 Most commercial Vanilla sugars, don´t really have true vanilla but Vanillin. 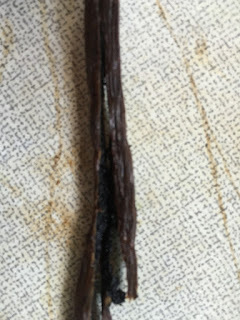 I added a Wiki link in case you want to find out more about Vanillin. For the ones that have the real vanilla in it, you pay 3-4 times the prize. 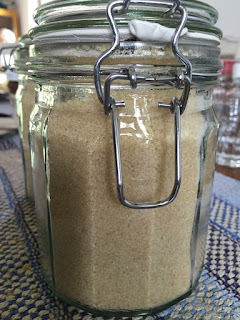 All Vanilla sugars you can buy here, have the white refined sugar that has been bleached and sometimes contains anti caking agents, all things which I try to avoid (BTW it is the same for salt). I try to stick with raw cane sugar, without additives. You recognise a good quality pod by its shiny and oily coat. Cut it length wise in half. No need to scrape out the mark. Put in your storage container (preferable glas, airtight seal). Seal and shake it, Baby! Shake it for a good minute. Store cool and dark for at least 6-8 weeks better 3 Months. Every time you pass your storage, you give the jar a good shake. You can use the sugar as it is or if you have a food processor turn it into powdered sugar. You can put the full pod in and process it with the sugar. and in this heat, foremost ICE CREAM! The very fine sugar (like icing sugar) that you get after processing it in the food processor is far better if you make ice cream without an ice cream maker. As your ice cream will have less crystals. And because Christmas is coming up faster than one thinks I made double the amount. 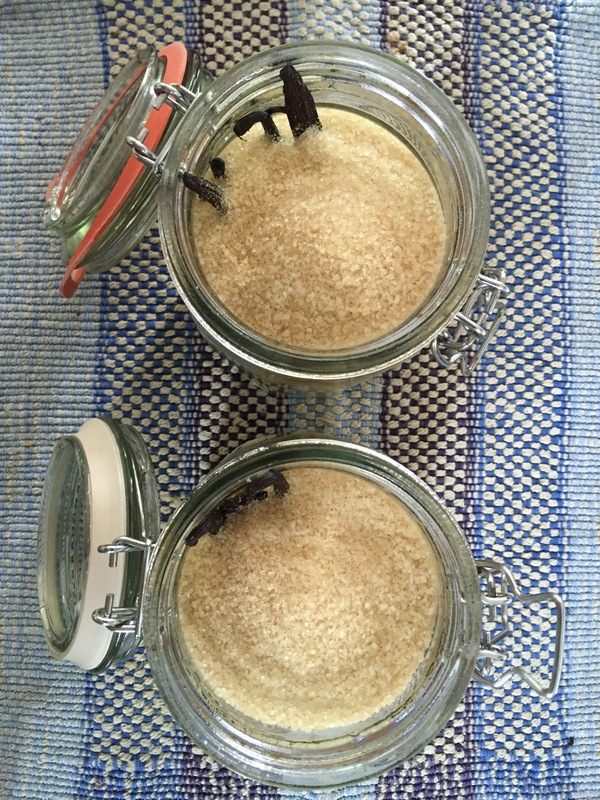 What is your most favourite recipe with vanilla sugar? you are so crafty ! I believe that from all the tutorials/ recipes you have this is the only one I can do without messing it up !!! Thanks Irena! I am sure you could do many of them, as they are all pretty simple! 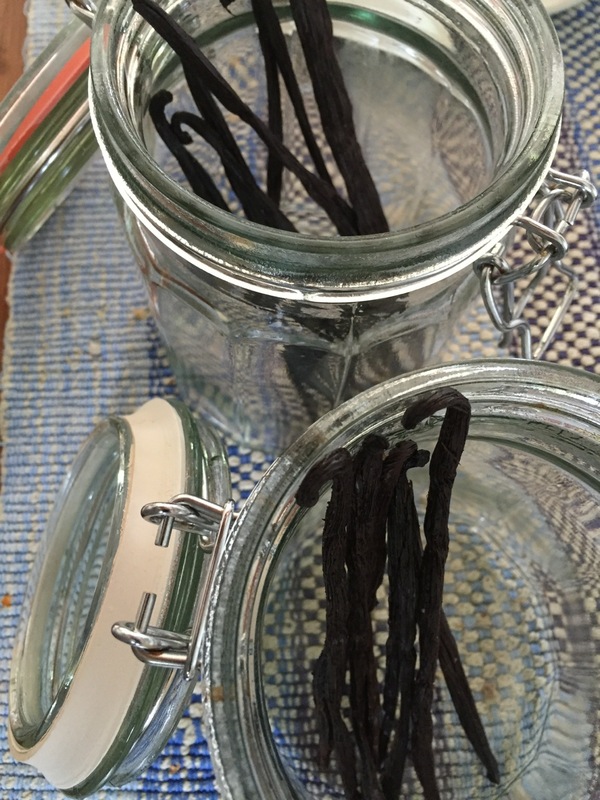 I like this idea but vanilla over here is incredibly expensive,can you use vanilla flavoring/extract to get the same results?